The Green Pan Velvet Black pans are made from aluminium and feature a robust ceramic non-stick surface on both the interior and exterior. 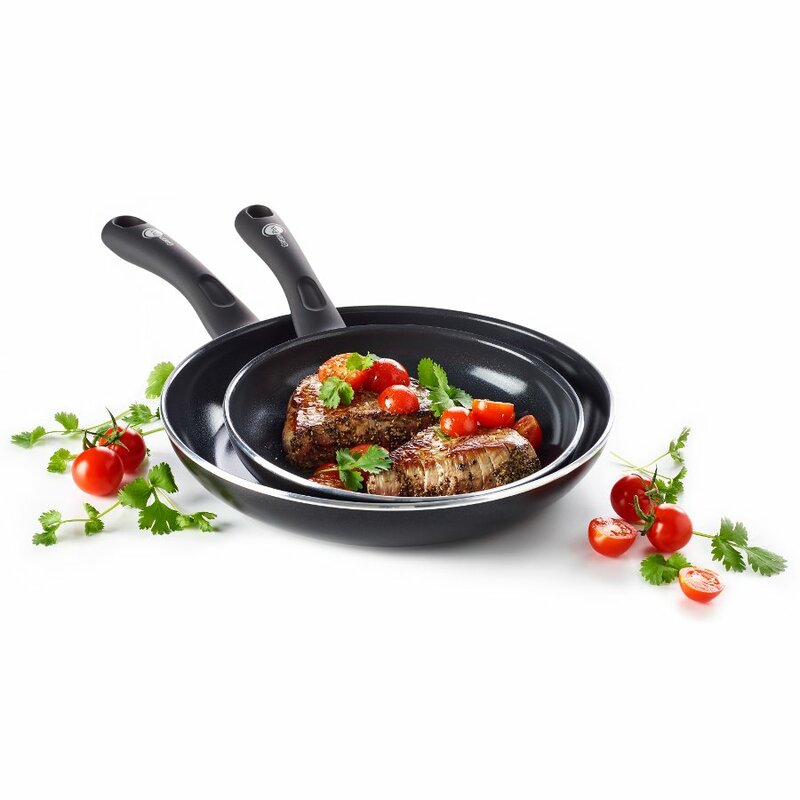 The Thermolon Infinity ceramic non-stick surface is enhanced with diamonds to give the pans incredible durability for years of reliable cookery. The ceramic surfaces also deter dirt and mess, making cleaning a lot easier. 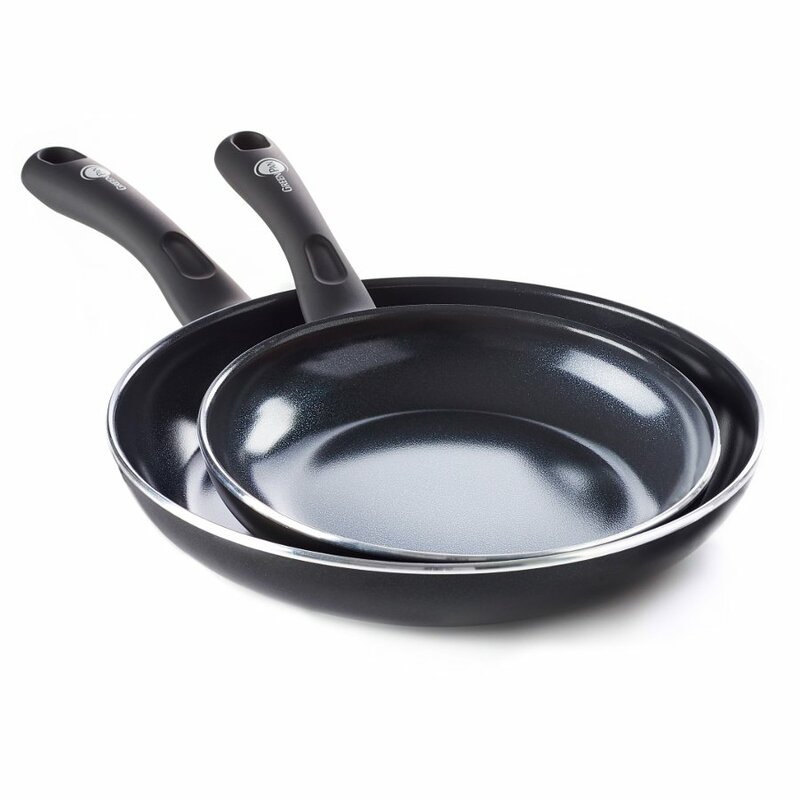 Both of these pans are completely free of lead, cadmium, PFOA and PFAS; keeping everything you cook hygienic and free from toxic fumes. 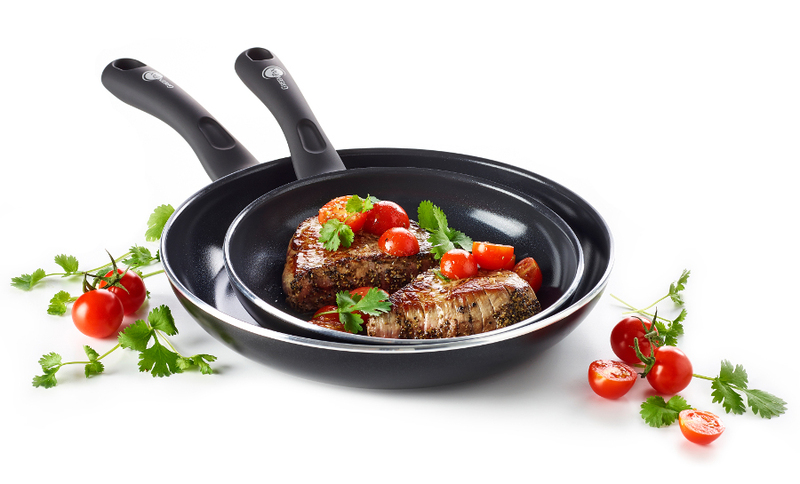 Each pan has an extra thick forged base which has been designed to distribute heat evenly throughout the pans, as well as Magneto induction technology to let you easily cook on a wide range of heat sources: gas, electric, ceramic and induction. 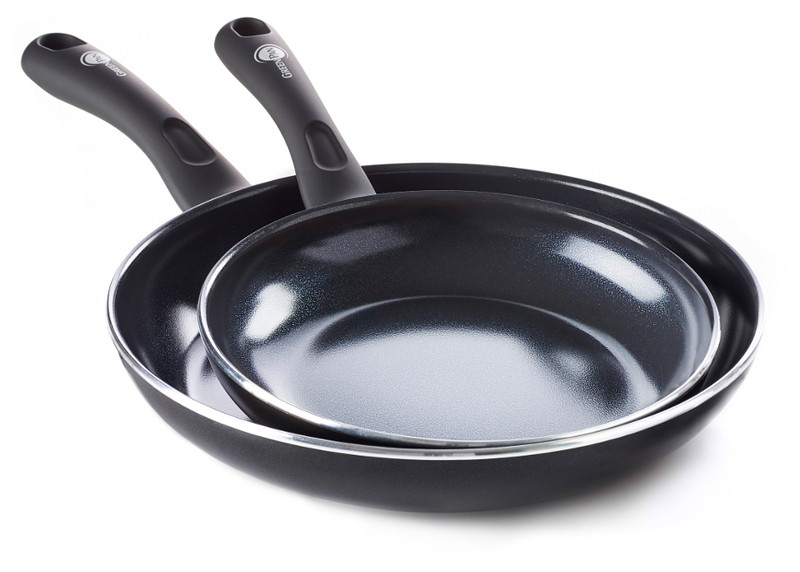 The pans are also compatible with ovens; withstanding temperatures up to 180 degrees Celsius. The Green Pan Velvet Black 2-piece Set - 20cm and 26cm product ethics are indicated below. To learn more about these product ethics and to see related products, follow the links below. Best frying pan ever! I am an amateur cook and I burn a lot of things. I also wanted to stop inhaling deadly teflon fumes. So this set was perfect. My pancakes improved significantly and even my chef hubby loves these pans. Highly recommended. Q: Do these pans come with glass lids?